A meeting between President Barack Obama and Cuban President Raul Castro marked a historic Seventh Summit of the Americas in Panama City this past week. At the summit, the U.S. Agency for International Development (USAID) announced it will invest $35 million “in a new higher education program designed to strengthen the capacity of technical training institutions in the region to provide market-relevant training for disadvantaged populations in Central America and the Caribbean.” The April 10 announcement is part of the Obama administration's overall effort to improve higher education and technical training across these regions. While disparities in wealth, income and political power have come to threaten the foundations of American democracy and capitalism over the past three decades, they have continued to constrain socioeconomic development across Central America and the Caribbean long after nations in these regions gained their independence. Unemployment levels remain high and access to high-quality higher education and technical training low. Populations in these countries continue to swell, posing growing threats to social and ecological health and sustainability. Providing broad-based access to affordable, quality higher education and technical training remains a glaring socioeconomic need, and that's precisely what the Obama administration, through the Young Leaders of the Americas Initiative and USAID's new higher education investment program, aims to help address. “Fifty-eight percent of the population in Latin America and the Caribbean is under 35. Despite important economic gains over the last decade, significant challenges – including limited access to jobs, capital and advanced educational opportunities, and the availability of illicit employment opportunities – hold many youth back from reaching their full potential,” the White House highlighted in its Seventh Summit of the Americas' Fact Sheet. 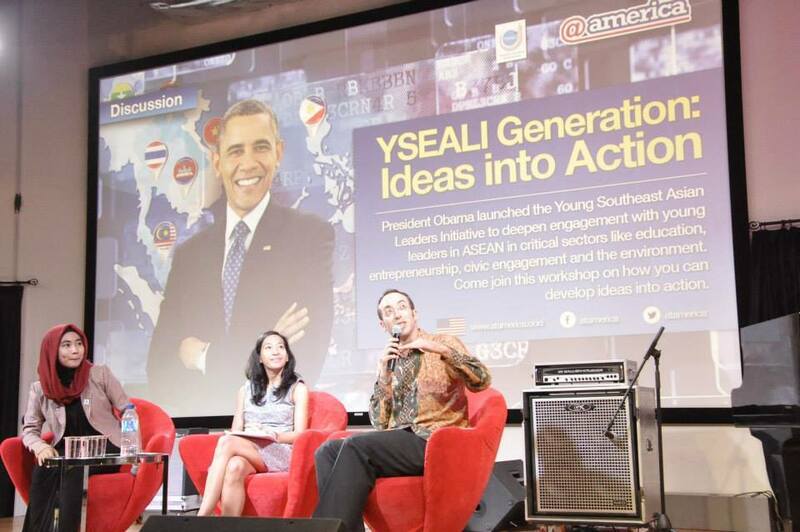 Aiming to remedy the situation, President Obama on April 9 announced the launch of the “Young Leaders of the Americas Initiative (YLAI) to expand opportunities for emerging entrepreneurs and civil society activists.” Building on the success of similar educational initiatives in sub-Saharan Africa and Southeast Asia, “YLAI will incubate and accelerate the work of young business and civil society leaders from Latin America, the Caribbean and the United States,” the White House continued. For its part, USAID highlighted that its new $35 million higher education investment program in these regions will build “on lessons learned from the $50 million initiative, Scholarships for Education and Economic Development (SEED).” The launch of that program was announced at the 2009 Summit of the Americas. USAID's SEED program provides scholarships for youth and community leaders from Central American and Caribbean nations to attend technical training courses at U.S. educational institutions. For example, one SEED student – Ketia Hely from Haiti – completed an action plan to help communities purify drinking water. While working with communities on water purification, she aims to coordinate with community members and other groups to implement a more permanent solution. Akin to SEED, USAID's new Central America-Caribbean technical training exchange program will foster greater understanding and cooperation, as well as provide difficult-to-obtain opportunities for youth and aspiring civil and community leaders throughout Central America and the Caribbean region. “Promoting social development is a key aspect of the United States’ comprehensive approach to partnerships in the Western Hemisphere,” the White House stated. “Achieving regional stability and long-term prosperity in the global economy depends on equipping youth with the skills they need to compete in the 21st century workforce.